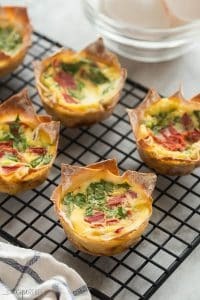 This Mini Quiche Recipe is the EASIEST brunch recipe because it uses wonton wrappers as the crust! A healthy breakfast recipe that is easily made gluten-free, dairy-free or vegetarian and comes together in no time. You are not going to believe how easy these Mini Quiche are, you guys. To make these mini quiche even easier than normal, I used wonton wrappers for the crust. Just like in these Pepperoni Pizza Cupcakes, or these Wonton Quiche, or these Jalapeno Popper Cupcakes, they get a little crispy around the edges but they stay soft in the bottom. 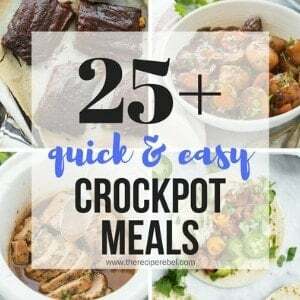 It cuts your prep time down to about 10 minutes, including the minimal chopping and stirring. If you’ve never used roasted red peppers in quiche before, you need to try it! 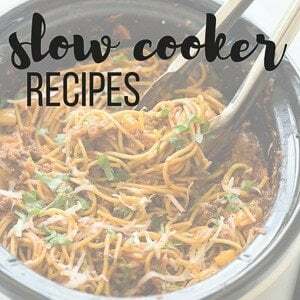 They add such incredible flavour and are good for you, too 😉 You can absolutely roast your own red peppers, but I take the easy way out (the 5 month old, 3 year old, and 5 year old sometimes cut into my dinner prep time! ), and buy the jarred peppers. They are just as delicious! 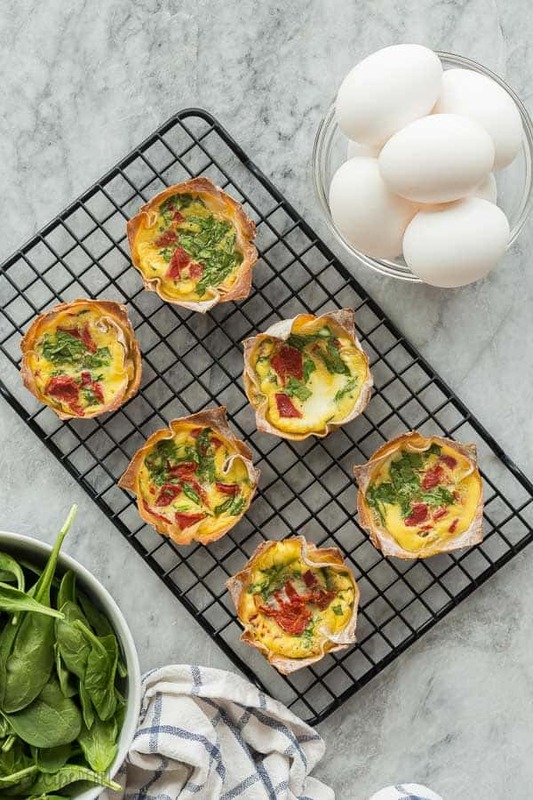 These Mini Quiche are naturally vegetarian! If you want, you can bump up the protein by adding chopped ham, or cooked crumbled bacon or turkey breakfast sausages. You can make these mini quiche dairy free by omitting the milk, or using almond or another non-dairy milk instead. You can easily make these quiche gluten free by skipping the wonton wrapper and making a crustless mini quiche. Follow my notes down below! Feel free to mix up the veggies or add in cheese! We are big cheese lovers here, so we often do, but you can keep this lower in calories by skipping it. To make these quiche gluten-free, you can easily skip the wonton wrappers and make them crustless! If you’re making crustless mini quiche, I highly recommend using silicone muffin cups or greasing the pan a little extra. Eggs can be tough to get off of the pan after baking! 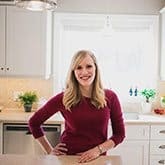 (We all know that sometimes those egg pans or dishes are the last ones to get clean in the dishwasher!). Can you freeze Mini Quiche? Unfortunately, mini quiche made with wonton wrappers do not freeze well. You lose the crispiness when you thaw and reheat! They are best eaten within an hour of when they are baked. If you want to make mini quiche and freeze them, I recommend using the store bought (or go ahead and make homemade!) mini tart shells you can find in the freezer section at the grocery store. Preheat the oven to 350 degrees F and lightly grease 6 muffin cups with non stick spray. Press one wonton wrapper into the bottom of each muffin cup. Press a second wonton wrapper into each muffin cup, turning to ensure the most coverage in the pan (the two wrappers shouldn't overlap each other completely). Bake for 20-25 minutes until completely set in the center. Let cool in the pan for 5 minutes before removing and serving. Because these wonton wrapper quiche don't freeze well, I've started with a small batch. 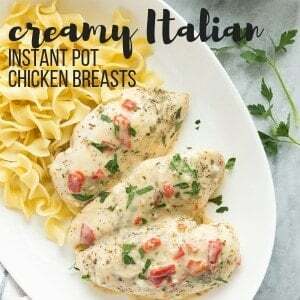 You can easily double or triple the recipe if you need! 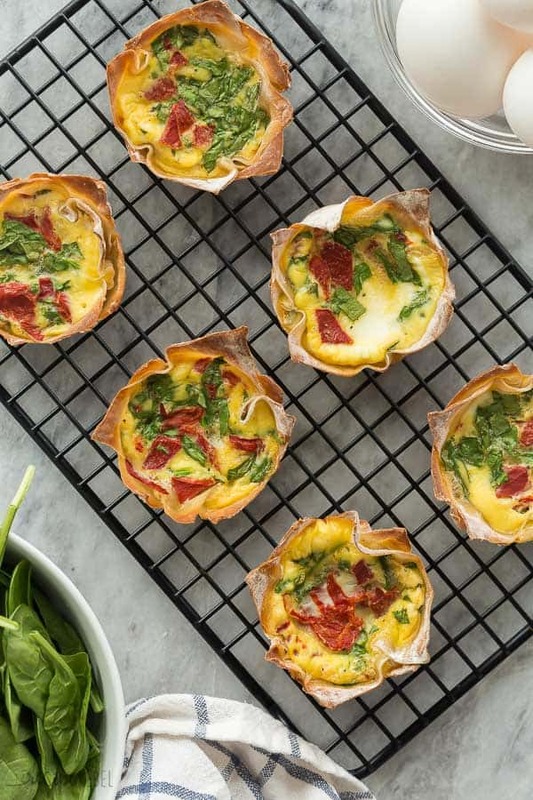 If you're looking for a freezer friendly quiche recipe, try using mini tart shells from the freezer section or make your own. I really like the idea of these. Can they be eaten cold? We have a baking competition at work and wanted to make these along with my Cake. Where can I buy the wonton cases from?? Thank you. I would say you could eat them room temperature but they don’t do well in the refrigerator. You can get the wonton wrappers from any grocery store in the refrigerator section, often by the produce. I hope that helps! I love that you used wonton wrappers here! What an awesome idea 🙂 I’ve always got wonton wrappers in the freezer for dumplings that I never seem to make, so this is perfect! Thanks Lauren! I hope you enjoy them!